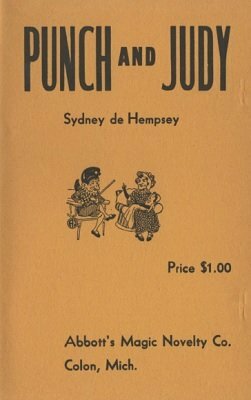 This is the complete dialog for the presentation of PUNCH and JUDY. The figures used in this dialog and in order of their appearance are as follows: Punch — Dog Toby — Judy — Baby — Beadle or Policeman — Joey the Clown — Crocodile — Ghost — Doctor. In addition to the above, the following properties are used: Punch's stick — Sausages — Frying Pan — Gallows — Coffin — The Pall. 1st digital edition 2016, 10 pages.